With a new year will come a slew of new fashion trends we can’t wait to dive into. Before we close the door on 2017, let’s take one last fond look at the trends that were created and revived in this very interesting year in fashion. Back in the ‘90s, we couldn’t get enough of camo. The trend kind of died out in the early 2000s only to be revived once again. Whether you prefer camo parachute pants, a cute crop top, or even a denim jacket proudly emblazoned in army greens, there’s no way to go wrong with this trend. We’re not talking the thick Spice Girls platform sneakers of the ‘90s, but rather a nod to the ‘70s in high-heeled boots with chunky heels. These may make you feel like a disco ball, sure, but with your flare jeans (which are also back in style), this trend is a chance to experience the fashion of a bygone era. 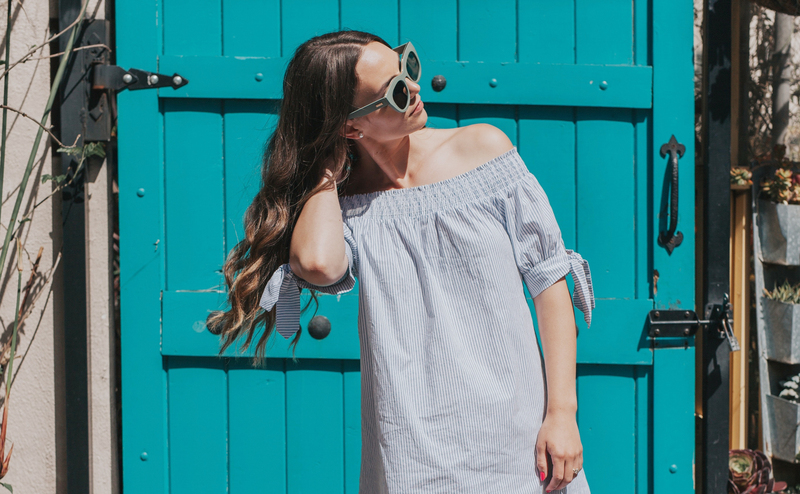 Maybe you’re a fan of wearing giant shirts off one shoulder or you like tops with cold shoulder cutouts. Either way, you ushered in what was quite a big fashion trend this year. In another ‘90s throwback, slip dresses have also returned. These lingerie-as-outerwear garments are just as provocative now as they were 20 years ago, but they’re perfect for date night or a even big work dinner (though maybe with a jacket). Few looks are so versatile that they can take you from a long day at work to cocktails with your best friends. The checked blazer was a fashion standout this year, probably for that very versatility. You can wear this with just about anything, from ripped jeans to an A-line skirt. If you’ve noticed more people walking around with slogans and phrases on their shirts, you’re not the only one. These tees are back in public favor. What better way to share one’s thoughts or feelings than with a shirt that says just the right words?